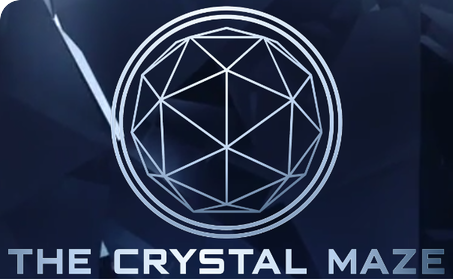 The one-off revival of The Crystal Maze is being broadcast on Channel 4 at 9pm this Sunday – perhaps this might be a slightly updated logo, perhaps not – and is apparently set to feature a cheeky cameo or two. It’s been filmed at London’s The Crystal Maze live experience and it’ll be a challenge for a set that is designed to see a couple of hundred players per day match up to the demands of a TV set. It also remains to be seen how the games come across on TV. Whether it’s a hit or a miss, the live experience has proved such a hit in London that, as previously hinted, a second maze will be opening in Manchester. The Manchester Evening News suggests the location will be the “old Granada studios”, as predicted by a detective on the Bother’s Bar forum. Sales opened today; currently, tickets are available for April 2017; the opening date of April 1st is possibly a tad inauspicious. There are many similarities to the London site, but a few exceedingly curious differences. It’s still a game for teams of eight, and it’s still closed on Mondays (except Bank Holidays). However, instead of four teams starting at the same time, the starts seem to be staggered at five- and ten- minute intervals, so eight teams start every hour. This has me wondering how this will work. (Is it possible that they plan to build two copies of each zone, just to double throughput? Could they even build two different mazes, with different games for replay value, in parallel?) One interpretation is the possibility that all the teams will play the zones in the same order – or, if the “two copies” hypothesis is correct, conceivably there might be different, but fixed, starting points in the two mazes. Another difference is that the experience is suggested to take two hours, which is longer than the London equivalent. There will be differences and it’ll be a treat to find out what they are. The pricing has been announced, and games on Tuesdays to Thursdays are £45 per player (plus 5% booking fee). That’s pretty tempting. Earlier this year, I organised for 32 people, mostly site owners and staff but also enthusiasts, to take over The Crystal Maze for an hour, the day after the London edition of the unconference. Should we do it all again in Manchester next year? Having played earlier in the year, I thought the dome was the weakest part and wondered why they didn’t have groups overlapping more during the game. It wouldn’t spoil the immersion massively if two teams played the zones at the same time (although, spoilers…?). By moving to eight teams an hour, they can have teams turning up all the time at the zone which I think will be better than the way we played. Wander into the arena just before a dome slot, see one or two teams play, play yourself, watch another team play if you want and then head to the bar. I think that will feel far more fluid and make the dome more fun – I felt we were hanging around watching randoms which wasn’t much fun. Maybe that also means they need fewer facilities – toilets and waiting area need to accommodate X teams an hour rather than X teams in the fifteen minutes before each slot. But more than anything else – I suspect this is about money. Why not build something 50% bigger and have twice the occupancy? The furore over the Crystal Maze isn’t going to last forever… why not take advantage? Ahhh, good thinking; I hadn’t considered the possibility of having two teams in the same zone at once. Yes, that’d work. It might feel a little less exclusive that you’re sharing a zone with another team but that shouldn’t spoil people’s fun.